The latest example of “fake news” is the wild misrepresentation of a message from the Republican National Committee that caused a Christmas day frenzy as the establishment media and bitter online leftists pushed the theory that a reference to a “new King” in a paragraph talking about Jesus was an allusion to Donald Trump. The combination of the words “this Christmas” and “new King” had people wondering whether the GOP was comparing Donald Trump to, well, Jesus. 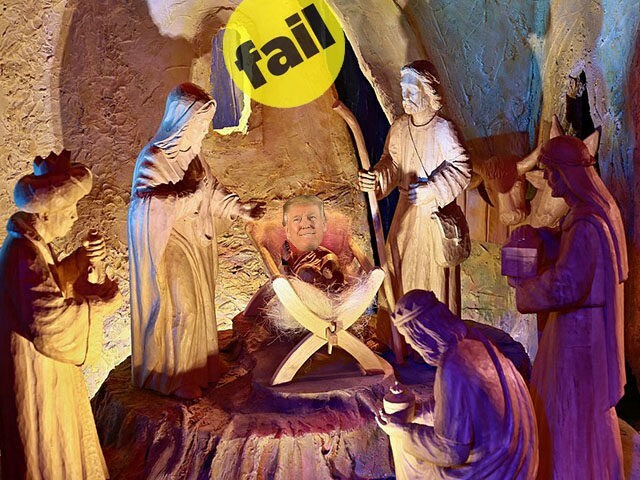 Spicer, who is slated to be the Press Secretary for the Trump administration, wasted no time in not only stating the obvious fact that “the King” is a reference to Jesus Christ but to call on both CNN and BuzzFeed to apologize. A number of verified Twitter users who are part of the Democrat establishment engaged in bizarre theorizing and made flat-out false claims, but instead of being fact checked by media sources like BuzzFeed or CNN, they were simply quoted and their statements were left unchallenged for accuracy. Chait was promptly schooled by National Review Institute Senior Fellow David French, who spoke from personal experience. When Daily Beast editor Alex Leo chimed in to respond to French, saying that she’d consulted “a man versed in theology” who had parsed the RNC statement, Chait retweeted her. @DavidAFrench @jonathanchait I just spoke with a man versed in theology who said the suspect part is *this* Christmas. It’s every Christmas. Then Chait acted declared to his followers: the “best conclusion” is that the bizarre conspiracy theory was the fault of the RNC. Best conclusion of preceding 2 tweets is that the GOP wrote a confusingly-worded passage that did not intend to describe Trump as a King. The GOP just decided to compare Trump to Jesus. It’s poor phrasing, but the statement unintentionally compared Trump to Jesus. They clearly meant Jesus. Stop this madness.